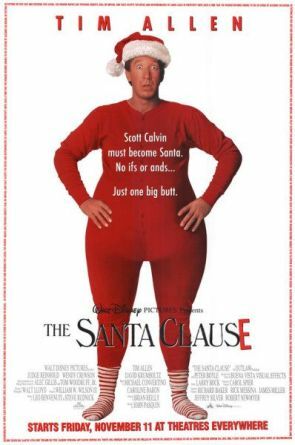 "The Santa Clause" is an incredibly fun 1994 holiday opus starring Tim Allen. And this was Tim Allen at his high point, when "Home Improvement" was going strong, Allen released a book that shot to No.1 on the bestseller list, and this movie was tops at the box office. The movie tells the story of frustrated divorcee Scott Calvin, who isn't handling life very well. 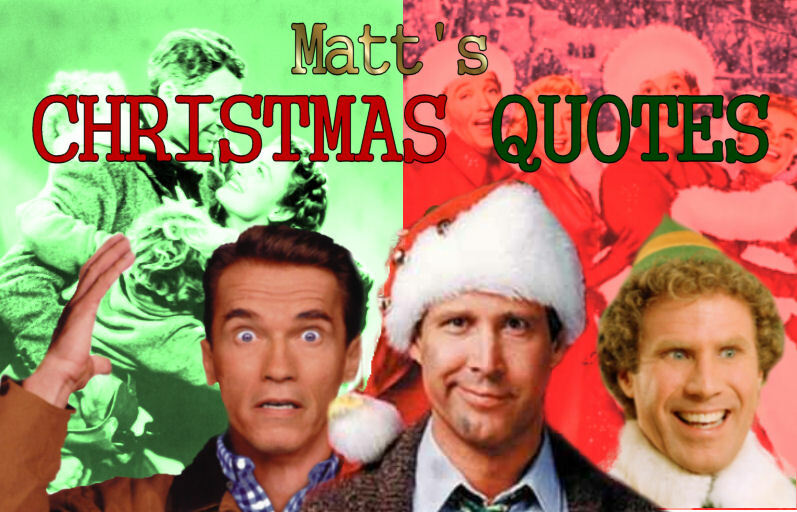 His precocious son Charlie is visiting for Christmas, but Scott seems more interested in verbally sparring with his ex-wife and her husband Neil than taking care of his son Charlie. After Scott reads "Twas the Night Before Christmas" to his son, the boy hears a "clatter" on the roof and forces his father to check it out. They find a man on the rooftop...and Scott thinks it's a burglar. When he yells at the guy, the red-clad man slips and falls...Scott Calvin has killed Santa Claus. So, he puts on the suit, does his best to deliver toys, and plays Santa for the night, not realizing that, by putting on the suit, he is legally bound to BE SANTA CLAUS FOREVER. There are several quotes from this one, but I'll reference one today that my wife and I often cite. It happens when the police capture Scott in full Santa Claus regalia...and then try to interrogate him. Detective: "Look, I know you're Scott Calvin. You know you're Scott Calvin. So let's make this simple: I say 'name', you say 'Scott Calvin.' Name?" Scott Calvin: "Pere Noel. Babbo Natale. Pelznickel. Topo Gigio!" Detective: "Okay, Calvin, maybe a couple of hours in the tank will change your mind."